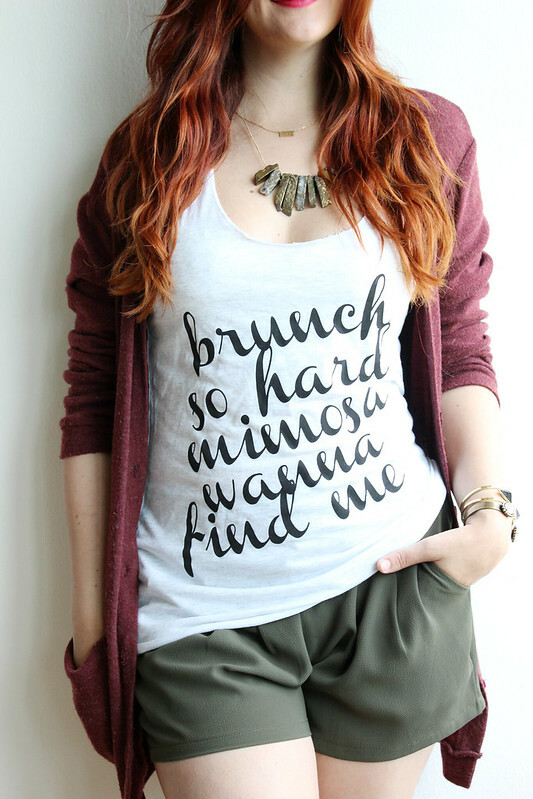 Brunch just got soooooooo much better (as if that was even possible). 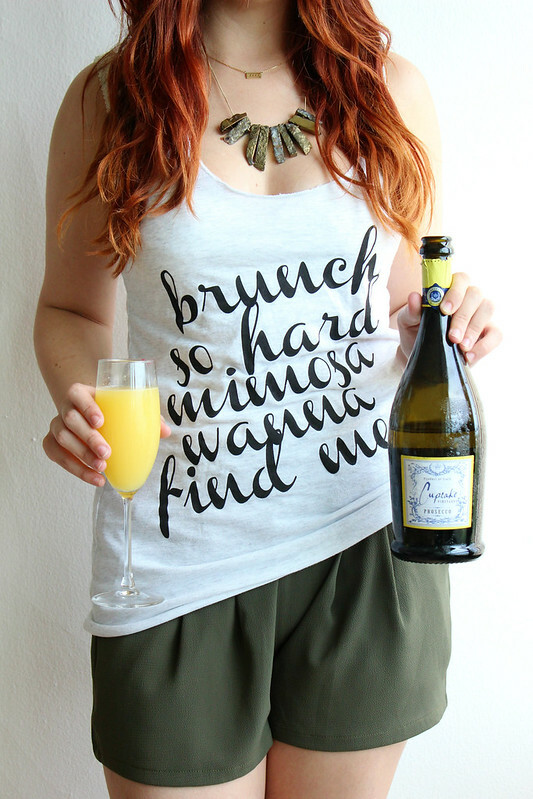 Our "brunch so hard mimosa wanna find me" original phrase and design is now available in a tank top! 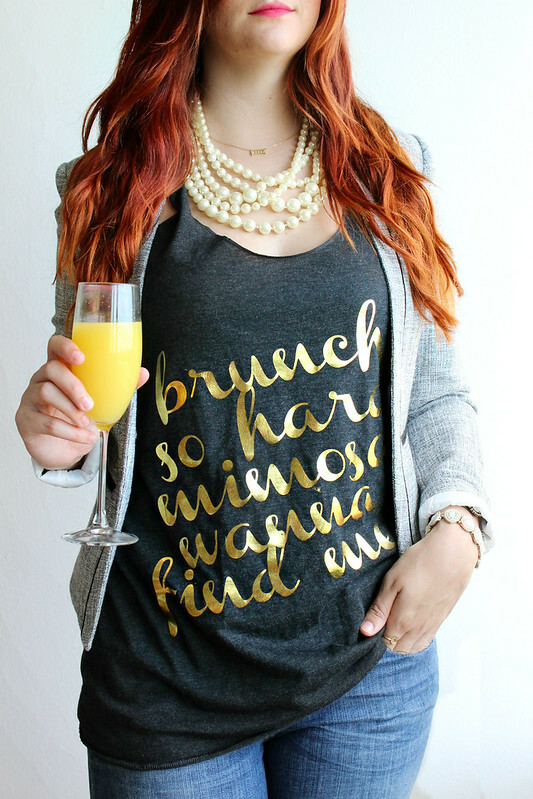 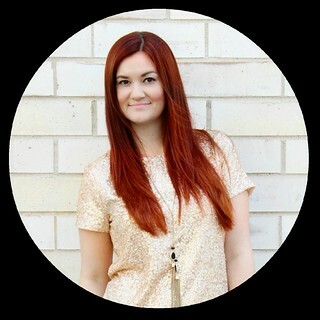 With two colors to choose from, brunching is going to be a mimosa filled blasty blast! 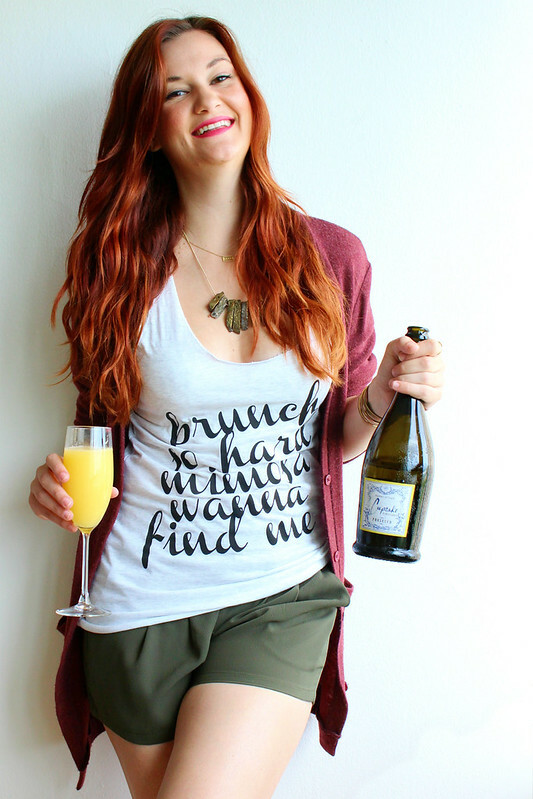 Sorry, but as much as I love all of you....mimosa is sold separately. 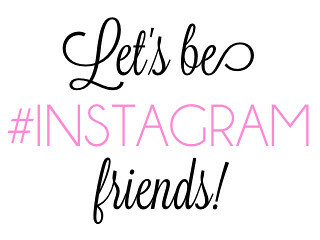 Just think of the shipping nightmare! 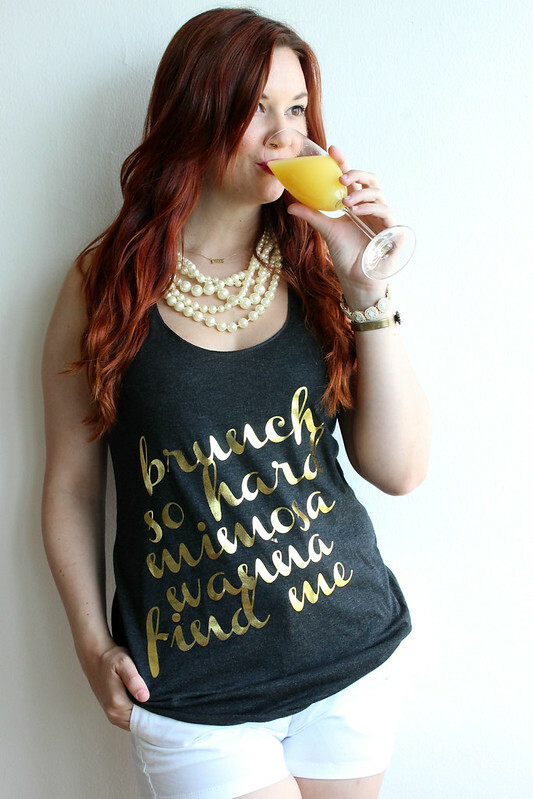 But if you're ever in Chicago and feeling brunchy, just swing by one of my favorite brunch places in the city (Revolucion, Wilde, Hutch, and La Creperie) and you'll probably see me there with one (or two) mimosas in hand. 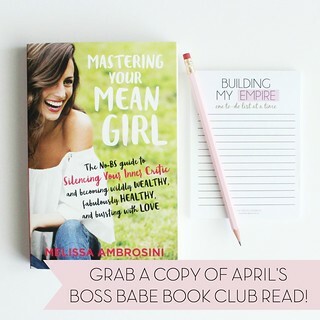 Now snag one for yourself and all your besties for the ultimate Sunday Funday! 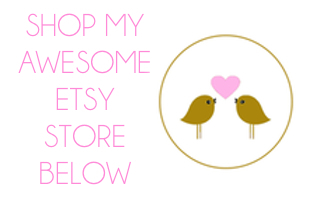 Check out my Etsy Store, The Trendy Sparrow, for chic art prints, mugs, & apparel.